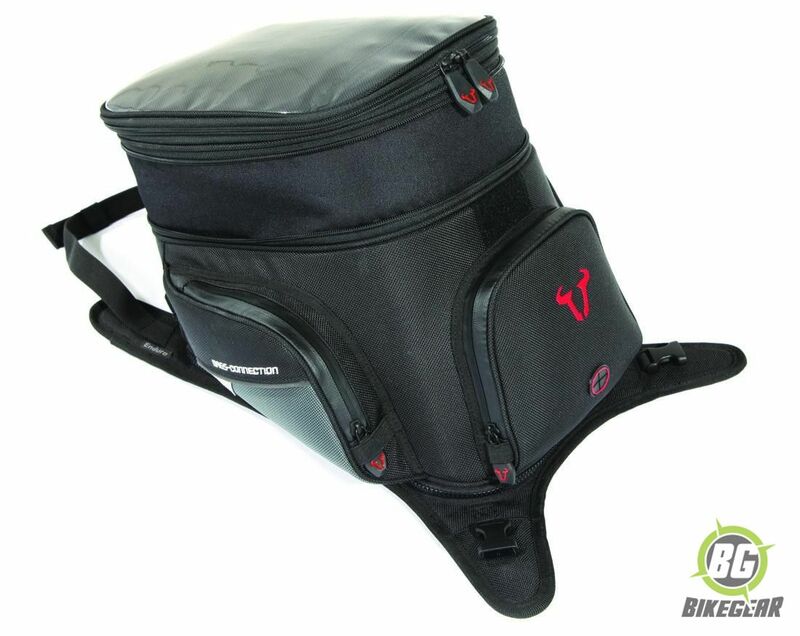 SW-MOTECH Enduro EVO Strap Style Tankbag is a strap-on tankbag with a capacity of 13 Liters, expandable to 22 Liters. 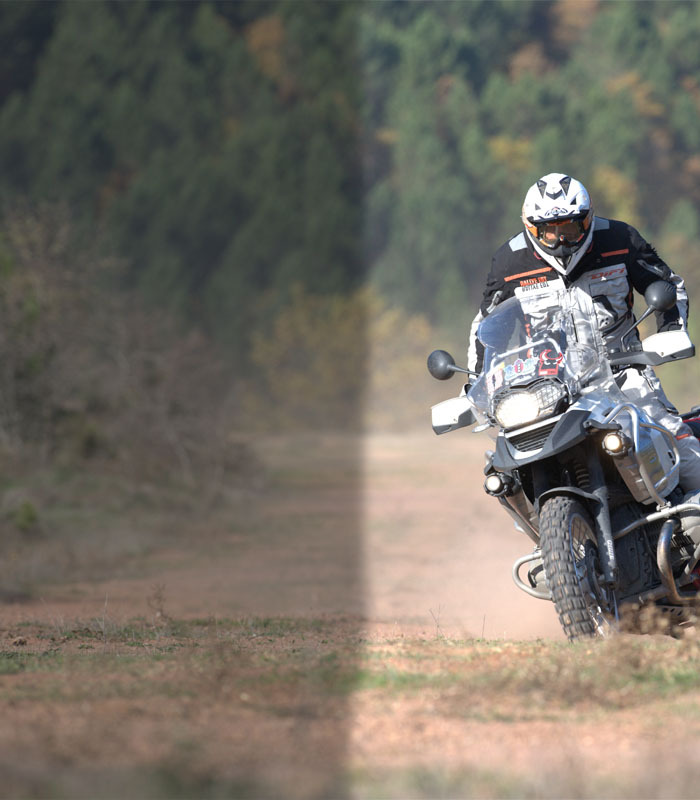 The Enduro is perfect for large adventure bikes like the BMW R1200GS and the Triumph Tiger Explorer. 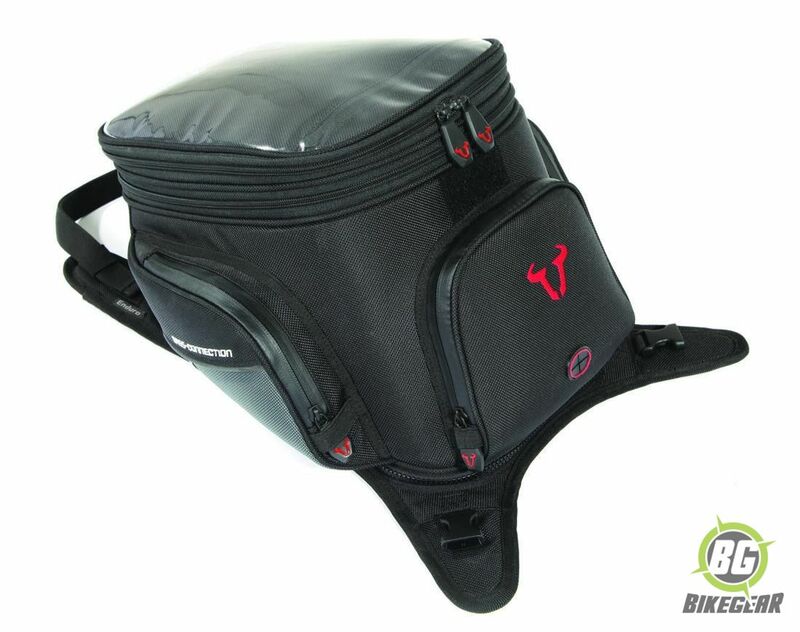 This tankbag attaches to the bike with straps. The tankbag unzips from the base to quickly and easily remove the bag without needing to remove the straps. Dimensions: L 350 mm x W 325 mm x H 225 mm. Interior lid and wall organizer pockets. Circumference zipper connects tankbag to base panel. Base connects to the frame with included frame clamps or loop straps. Front and rear cable pass-through. Carry handle on front of bag. Can be used as a backpack. Waterproof inner bag (instead of rain cover).